Commuters are advised to brace themselves for longer commuting times in 2018. Due to the obsolescence of the infrastructure and trains being beyond their design life, in-service failures are a reality and incessant vandalism severely hampers the provision of stable services. Metrorail is committed to complying with rail safety requirements to ensure that trains operate as safely and reliably as possible under the current circumstances. While these alternative measures will ensure service continuity, these will regrettably extend the average travel times during weekday peak hours. View Metrorail's rail network route map here. 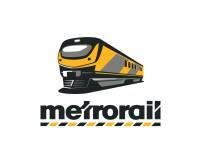 View Metrorail's ticket office operating hours here. To download and view train timetables for the Western Cape region click on the links below.